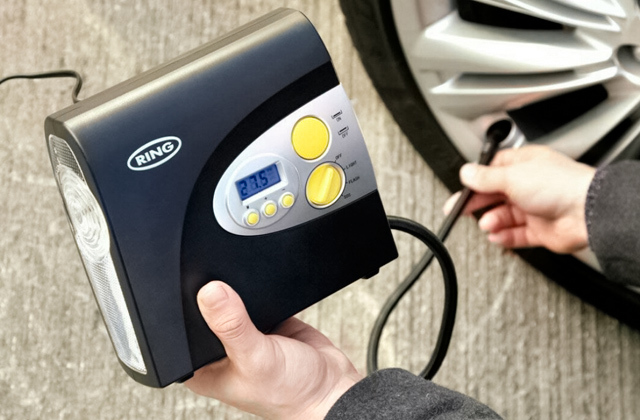 The Cool System Control Driver automatically regulates the fan RPM; this solution ensures effective cooling and at the same time reduces the load on the car battery. The screws in the kit are not very reliable. 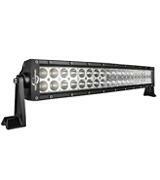 This LED Light Bar has the width of 107 cm, it is a full-fledged lighting fixture. Now, no extreme trip is a problem since this model allows you to see the road even in the thick fog. 10 cooling fans prevent the bar from overheating and help its efficient performance. The firm housing will provide a long service life of the device. The curved shape isn't suitable for some bumper types. 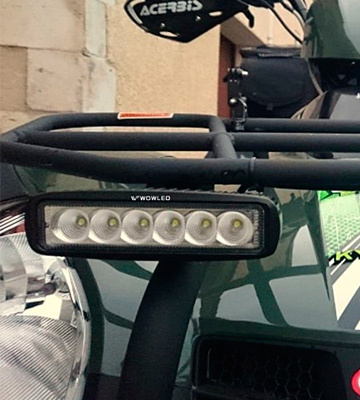 Being one of the best bars represented on the market, the MicTuning roof mount led light bar will provide perfect road illumination to see obstacles in time to avoid them. 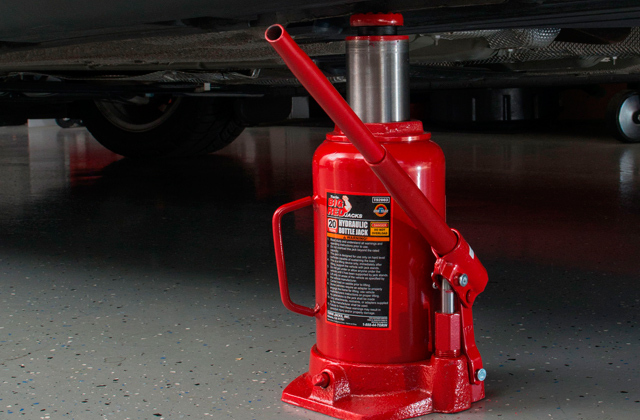 The case of this device is made of heavy-duty military die-cast aluminium with a thickened rubber pad. It offers you a possibility to use the lamp in the most extreme conditions. The connecting wires might be short. If you are unhappy with the brightness of the standard lamps on your car, then these LED bars will be your sheet anchor. With this additional lighting, you'll see your way perfectly even a few hundred meters in front of you. 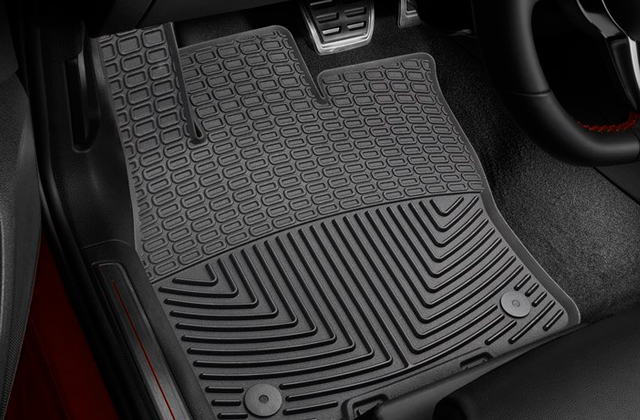 The moisture release hole provides effective ventilation and does not allow moisture to accumulate at rapid temperature changes. Thus, this light bar will perform quality illumination. The lamp lifespan is relatively short. 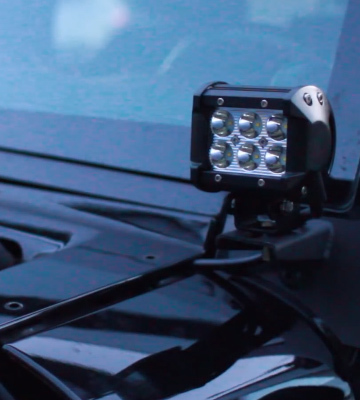 Owing to the small size and practical brackets, these lights can be easily mounted on almost any vehicle, regardless of its class and body type. 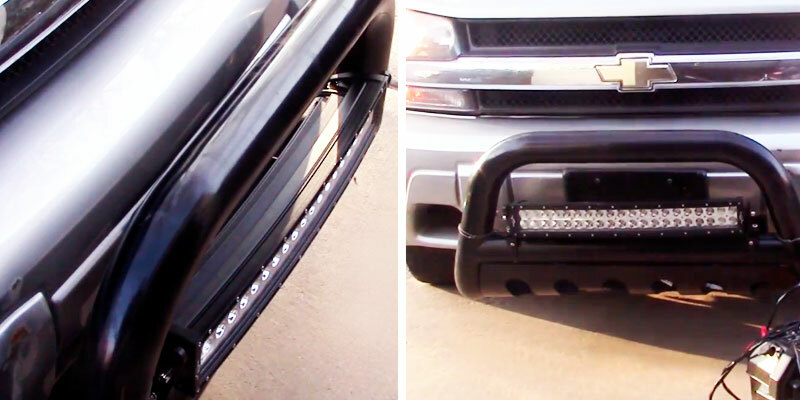 Can also be used as reverse LED Light bars. The well-thought-out structure of the reflectors effectively distributes the light from the lamps. 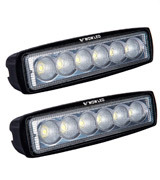 In combination with the PMMA-lens, it provides the best road illumination. Over time, the paint on the case wears out. 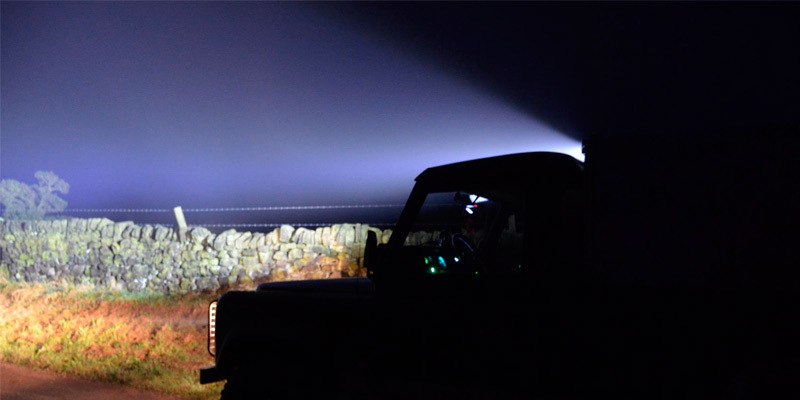 The WOWLED LED lamps offer the flood beam, they are excellent for driving off-road. 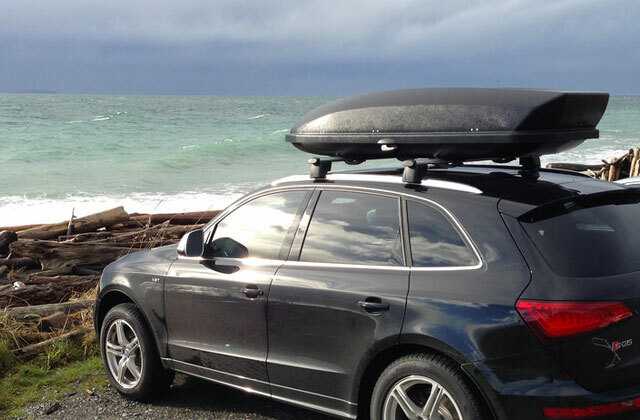 This model is suitable for SUVs and pickup trucks equipped with a Kangoo bar or an expedition roof rack. 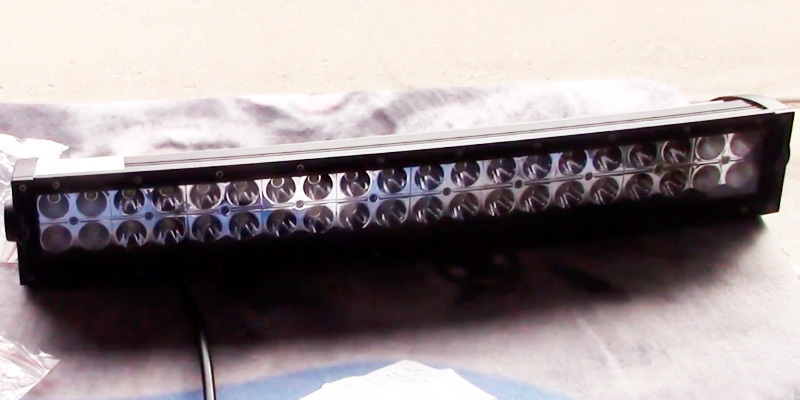 This powerful light LED bar by Autofather (240 W) for the vehicle roof is a perfect solution for driving at night. These additional LED lights with white light colour will provide brilliant illumination. The bar is fitted with high-intensity innovative LEDs which give fairly bright light. Many drivers face temperature changes and precipitation. Because of this, some conventional extra lights can fail. Thanks to the well-thought-out protection, these LED lights will not let you down even at low temperatures and high humidity. The Autofather light LED bar is encased in a strong shock-resistant diecast aluminium housing, which is also a radiator for cooling the lamps since the powerful LEDs are likely to get very hot. The housing boasts good insulation and is waterproof (the manufacturer states that it is correspondent to the IP67 standard). These properties allow you to use these additional LED lights in all weather conditions. 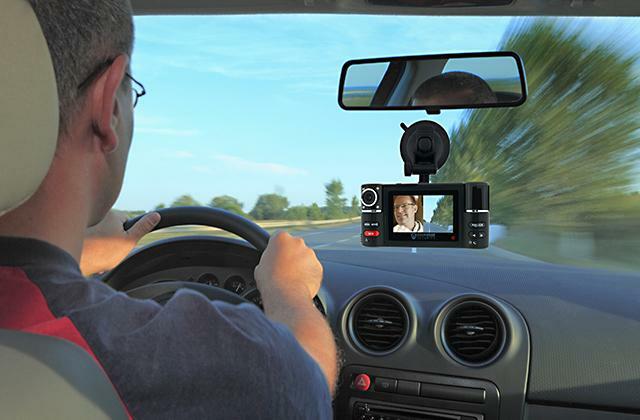 Convenient and reliable mounting system. This heavy-duty roof mount LED light bar by Autofather will be just great for trucks and cars, SUVs and ATVs, motorcycles, snowmobiles, construction equipment, as well as water transport. 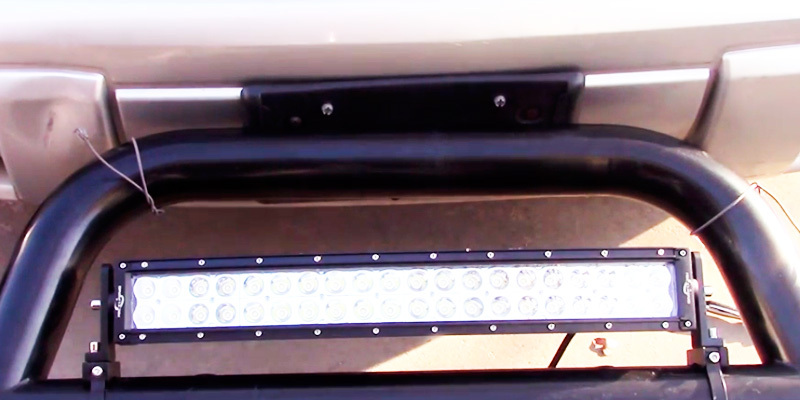 Searching for a LED bar of premium quality to install on your off-road truck, ATV, UTV, SUV or another similar vehicle? If so, MicTuning model is just what you need. The first thing we’d like to point out is its energy efficiency – consuming a relatively small amount of power (120 Watts), it can produce 12500-lumen brightness that is almost twice as much as the majority of its rivals. Plus, the light emitted by this bar has the colour temperature of 6000 K that guarantees clearer visibility. Combo beam pattern is worth your attention too since it combines spot and flood light patterns for equally good illumination of front and side areas. 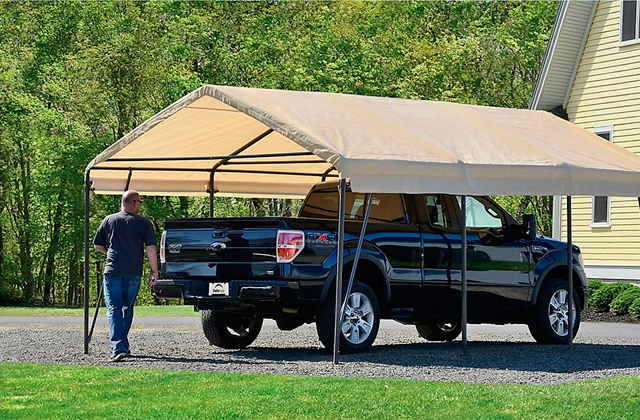 Besides outstanding light characteristics, this model also boasts sturdy materials that ensure its durability. All in all, MicTuning roof mount led light bar is a perfect combination of high specifications and well-thought-out design that will definitely meet your requirements. As well as light bars, wiper blades are aimed at improving visibility on the road. If it often rains in your area, a pair of good blades will definitely come in handy. Curved bars are believed to illuminate larger areas than straight ones, and the MicTuning bar is one of the models that has a curved shape. In order to prevent the bar from overheating and provide its efficient operation under any conditions, the manufacturer has equipped it with 10 cooling fans. MicTuning company has done its best to please its clients with products of great quality, and the use of premium LEDs is one more proof of this statement. These Pandamoto additional LED lights for SUVs (tuning for jeeps) will be an indispensable complement to their functionality. The Pandamoto LED cannot be destroyed even by a strong vibration. Thanks to the reliable glass, the headlights will operate perfectly under extreme conditions; these powerful LED lights are almost “immortal”. 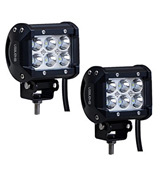 The LEDs are placed in a black die-cast aluminium housing with reliable protection. The housing is waterproof and shock-resistant. 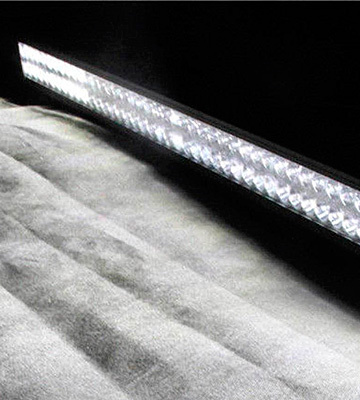 The installation of these Pandamoto LED light bars is simple, and the soft irradiation is nice. The lifespan of this model is more than 50,000 hours, which is a rather good value for a model of this class. 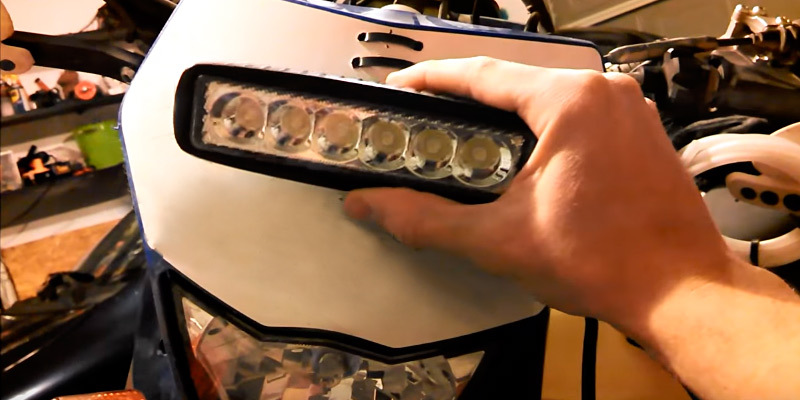 This model can be mounted on a quad, motorcycle, jet ski, scooters, bicycles, and of course, on cars and other vehicles to provide extra lighting. A wide range of operating voltages: can be used for various types of vehicles. Running time: longer than usual LED light bulbs, more than 50,000 hours of operation. Excellent waterproof and shockproof aluminium case. Works in the rain and in difficult operating conditions. This LED work light will illuminate the road at a great distance in the dark or in bad weather conditions. Also, you can use it to illuminate your work area. And, for sure, it will be a find for fans of country trips to the forest and off-road. The MICTUNING spot LED work lights bar will be very helpful to the head optics of your car and will even outperform them in brightness. Being fitted with customizable mounting brackets, this device will ensure the best possible lighting angle for perfect visibility. The whole installation process will take about 30 minutes. The MICTUNING LED headlights offer much more benefits than classic incandescent lamps can provide. While producing intensive light output, these LED lamps consume the minimum amount of current. In addition to the optimum light scattering angle, this model can boast compact body with reinforced brackets and universal application on a car, ATV, boat, and so on. The bar consists of six diodes with a power of 3W each. With a low current consumption, these diodes produce a very powerful irradiation. Coming in a durable corrosion-resistant die-cast aluminium body with the waterproof rate of IP67 and toughened glass lens, the MICTUNING LED work lights bar will serve you for more than 30,000 hours. Considering the affordable price, this lifespan is more than satisfying. And no weather will interfere with your plans. By the way, the housing also acts as a radiator for cooling the lamps. Compared with halogen and xenon headlamps, the spot LED lights have huge advantages: much longer service life, greater light output, instant switching on, and low power consumption. The WOWLED flood led light bar is a specialized model intended for illuminating big working areas at night, in case of insufficient street lighting, or in the woods. The additional installation of the LED lights on a vehicle will give a bright individuality and ensure improved safety for the fans of hunting, fishing, and other active pursuits. The design of these lights allows installing them on almost any transport. Choosing these LED lamps for cars, you will also be able to more quickly give signals since the operation speed of the LEDs is about 0.2 seconds higher than that of a conventional bulb. This model comes in a rectangular aluminium case, which has a moisture and dust protection and the waterproof rate of IP67. IP67 means that the dust penetration is prevented completely and no dirt can get into a device. It also guarantees protection from water splashes from any direction, so moisture does not have any harmful effect on the product either. A short-term immersion to the depth of up to 1 m is acceptable, too: if the immersion is not too long or too deep, water can not disrupt the operational mechanics. However, constant work underwater is not something to use this model for. 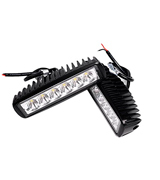 This spot flood led light bar provides a powerful uniform beam of light, and you can mount it on various types of vehicles: SUVs, trucks, special machinery, motorcycles, ATVs, tractors, boats, yachts, ships, houseboats, and vehicles for mine and quarry works. 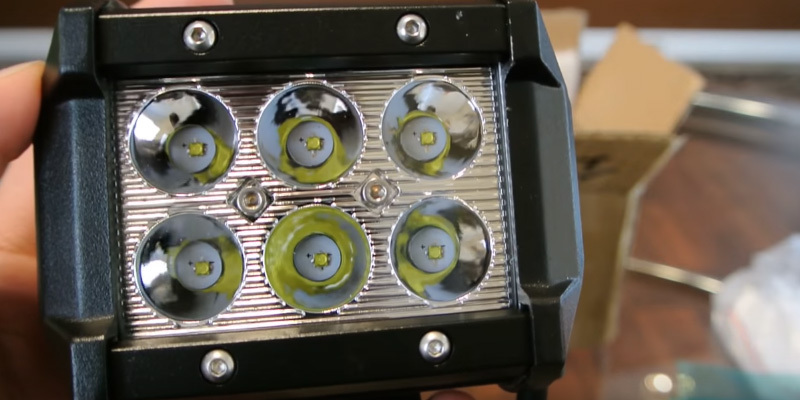 What Is a LED Light Bar? In modern life, LED lighting successfully replaces traditional lighting fixtures. 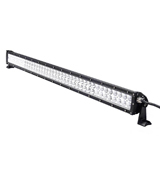 LED light bars are rows of small bulbs encased in a metal housing used as additional sources of light for a variety of purposes. 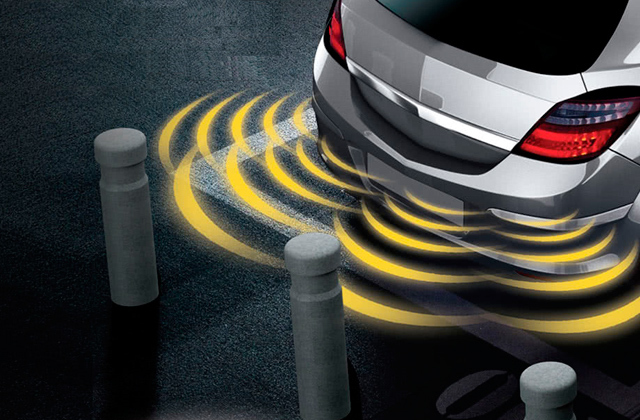 Usually, they are placed on cars, off-road trucks, boats, and even specialized vehicles for better road illumination. It’s also possible to use these bars to illuminate indoor or outdoor premises of your property, construction sites, or use them as backup lightening units. We’ve picked five best-selling models so that you could choose the one that meets your needs and requirements. Speaking of the light, you may also be interested in purchasing environmentally-friendly solar lights that can serve not only as additional illumination spots in your yard but also as a decoration element. And if you think of adding more light to your living room, we'd like to turn your attention to our review of the floor lamps where you can find some of the most popular models out there. No need to mention that light features (power, brightness, and beam pattern) should be considered first when you’re looking for any lighting device and LED bars aren’t an exception. Power and brightness determine general light characteristics – the higher these measurements are, the better light quality your bar possesses. As for the beam pattern, it can be of three types – spot, flood, and combo. Spot pattern is characterized by 30° beams that boast considerable lighting range. Flood beams feature 60°, and although they can’t light up long distances, they provide perfect side illumination. Combo beam pattern is becoming more and more popular among consumers thanks to its universality as it combines both spot and flood beams. You also want to be aware of bar features before choosing any of the models represented on the market. 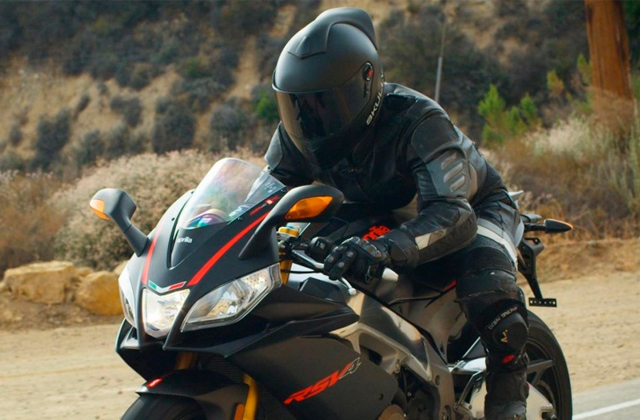 More often than not, bars are placed on off-road vehicles used under extreme conditions, so high waterproof rating is of the utmost importance. For example, an IP68 rating will not only provide effective bar operation in rainy weather but will allow you to use it successfully on boats or other water vehicles. Bar length and brackets should also be taken into account as they determine whether this or that bar suits your car, truck, boat, etc. Pay attention to the operating voltage of your bar, too. 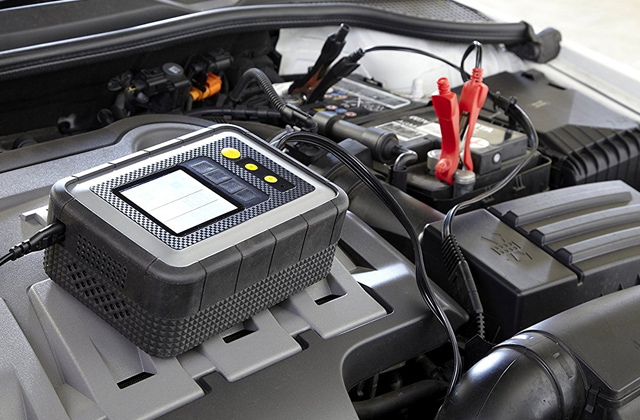 Note that for proper work, it should coincide with your car battery characteristics. Finally, make sure the bar you’re going to buy has all wires and switches necessary for its convenient connection. Q: Which bar shape is better – curved or straight? A: Curved bars are considered to be more effective since they can illuminate not only in front of a vehicle but also light up side areas. However, if a straight bar boasts outstanding light features – great power, brightness, and combo beam pattern, it will serve on par with its curved-shaped rivals. Q: What is average service life of a LED bar? A: Different manufacturers guarantee different service life of their products but, in general, LED lights last longer than any other bulbs. Choosing LED bar, you can be sure it will last you from 30,000 to 50,000 hours. Q: Is it easy to install and connect a bar on my own? 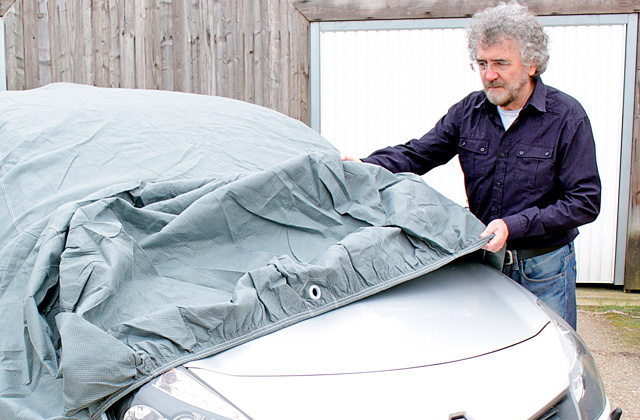 A: Installation process shouldn’t take you a lot of time as it isn’t really difficult. All you have to do to place a bar is decide where it will be located, drill two holes for mounting brackets, screw a couple of bolts, and adjust the bar’s position. 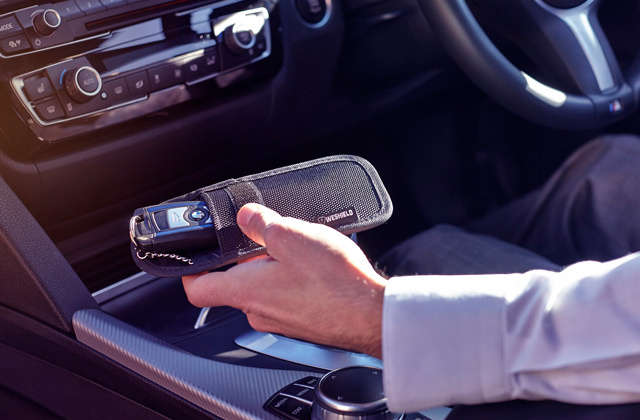 Connecting a bar to your vehicle might be more difficult if you aren’t good with electrical appliances. If you aren’t sure you’ll manage wire connection on your own, it’s recommended to address a professional for help. Please note that not all light bars include installation instructions in the box, so you might need to search the Internet for them. 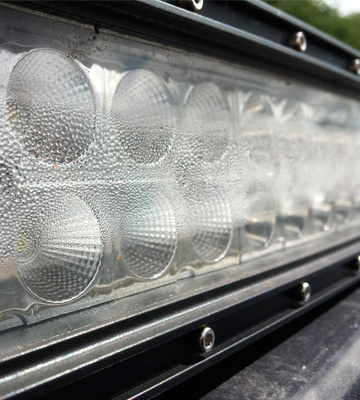 Q: Should a light bar be removed before car wash? A: All LED bars have waterproof properties, and operate just fine in the rain, snow, etc. 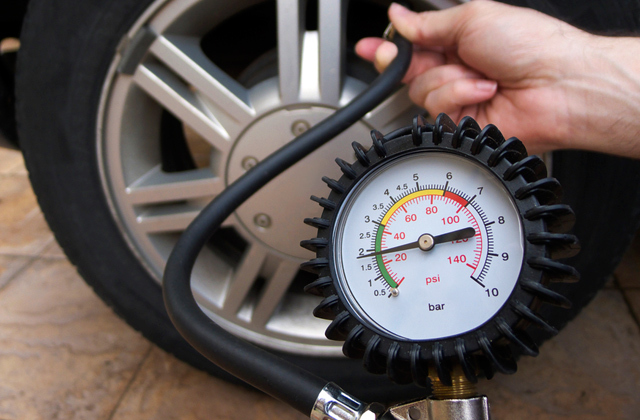 The only thing you want to affirm before washing a car is a reliable bar position – chances are high water pressure will change it. Q: Do I need to buy additional tools/attachments to set a bar? A: As a rule, manufacturers sell bars In a bundle with all accessories necessary for their installation. Usually, you get mounting brackets and bolts in the box. However, note that wire harness and switch aren’t always included, so you might have to buy them separately. Q: Can LED lights inside a bar be replaced? A: No, LED chips inside bars aren’t replaceable. If your bar has served its time or stopped working because of some damage, you’ll have to replace the whole bar. Q: Do bars whistle while driving? A: Well, some of them may but it’s difficult to say unless you install it and check it for yourself. If you are concerned about this issue, we’d recommend you to check on comments about the bar you want to buy or ask the manufacturer. 1. 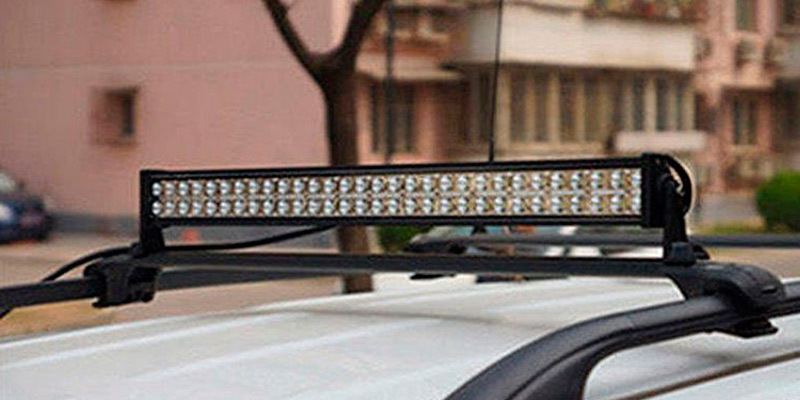 How to Choose the Right LED Light Bar, eBay. October 28, 2014. 2. 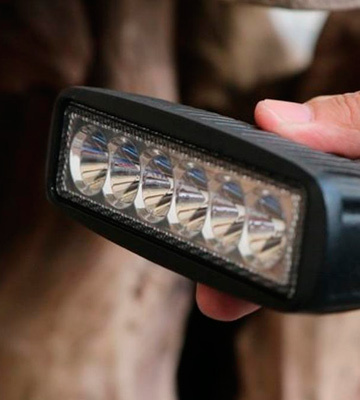 Jessica Chen How to Choose a LED Light Bar or Driving Light, Auxbeam Blog. August 24, 2015. 3. 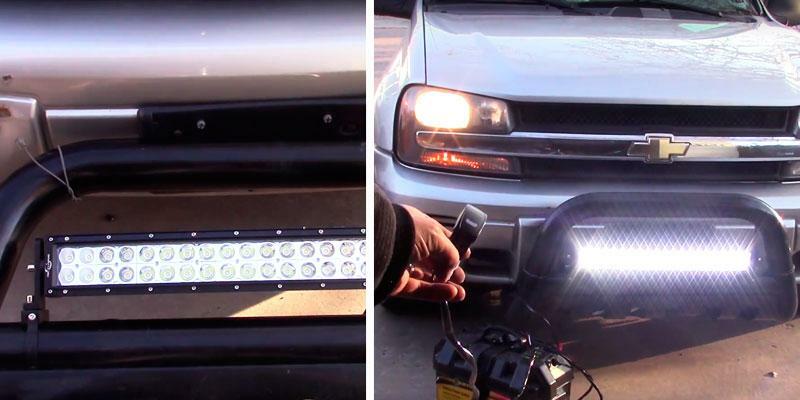 Luke Harper Choosing the Right LED Light Bars for Your Vehicle, Ezine Articles. August 20, 2015. 4. How Energy-efficient Light Bulbs Compared with Traditional Incandescents, Energy Department.